ICEAV wrote: Having sorted out all the issues of the external sensing input with the XNotes Stop Watch software on our led light we are pleased to let this community know that we are excited to be able to say that we have available an industrial grade solution we are now shipping world wide based on our Plas480 LED panels. I have noticed that various groups have been using a variety of display solutions such as projection or LCD screen in well lit environments. In the photos I see in this forum and elsewhere I have observed as you probably have as well that the image quality is very poor. Here I have listed some article we have published on how you can used Xnotes with LED screens. The links contain photos and video so hopefully you will find it helpful. We will be working closely with some of our local sporting groups with the launch of these new package we are introducing and will post some photos to inspire you with your events. [quote="ICEAV"][u][color=#000000]Having sorted out all the issues of the external sensing input with the XNotes Stop Watch software on our[/color] [url=http://www.niceledlights.com][color=#000000]led light[/color][/url] [color=#000000]we are pleased to let this community know that we are excited to be able to say that we have available an industrial grade solution we are now shipping world wide based on our Plas480 LED panels. I have noticed that various groups have been using a variety of display solutions such as projection or LCD screen in well lit environments. In the photos I see in this forum and elsewhere I have observed as you probably have as well that the image quality is very poor. 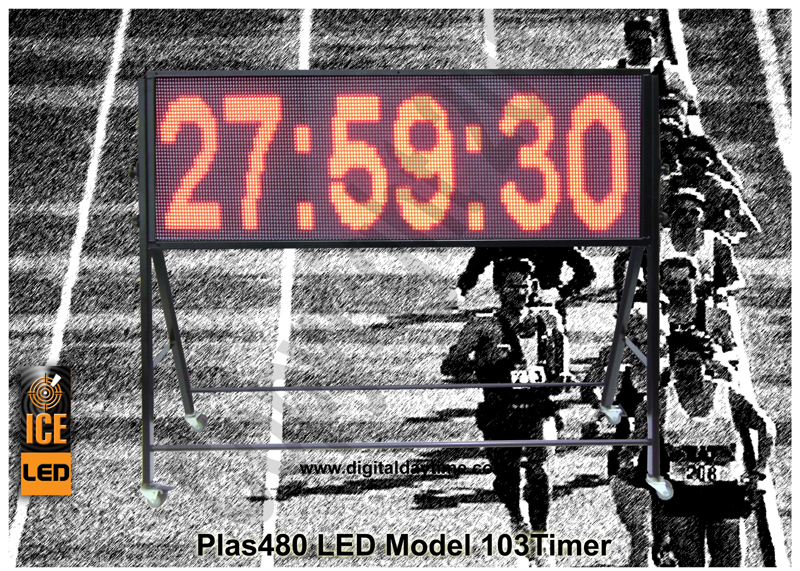 Having sorted out all the issues of the external sensing input with the XNotes Stop Watch software on our LED Screens we are pleased to let this community know that we are excited to be able to say that we have available an industrial grade solution we are now shipping world wide based on our Plas480 LED panels. I have noticed that various groups have been using a variety of display solutions such as projection or LCD screen in well lit environments. In the photos I see in this forum and elsewhere I have observed as you probably have as well that the image quality is very poor.